“Stand up for your love rights” came after two great successful hits for Yazz. And it could be just a third great success! So, after “Doctorin’ the house” and “The only way is up“, Yazz found herself again on top of the charts in Autumn 1988. “Stand up” definitely sounds more like a pop song than a house track. 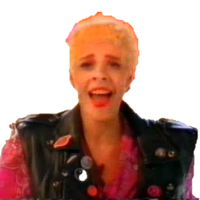 But Yazz had all the skills to be successful also as a pop singer. In fact her hit went on top of the charts in the UK and in Ireland. It went very high also in many other countries. Yazz will release another hit the following year, and later she will enter the 90s, a decade of smaller fame and success for her. She will change labels and they will delete or defer albums, not her best period. In any case, Yazz in 1988 was simply irresistible! A fantastic voice, her great way to move like a model and a dancer, and her wonderful smile brought her three times on top of the charts! And in my humble opinion, she deserved much more in the following years!